Home Ink Cartridge News New 3D Products! 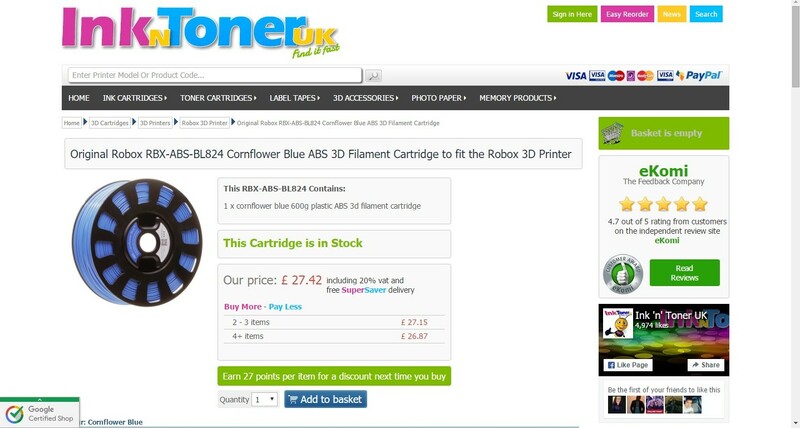 Here at Ink N Toner UK, we’ve launched a whole new bunch of 3D products! We’ve added a whole new range of products including the cartridges for XYZ printing, Ultimaker and Leapfrog! We’ve also added compatible Verbatim and Ninjaflex filaments for even more savings. Have a look at our range of 3D printers here! PLA (Polyatic Acid) is one of the most commonly used 3D printing materials. It’s odorless and low-warp, as well as not needing a heated bed. PLA plastic is also relatively eco-friendly as it’s made from corn-starch which is a renewable source. Check out one of our PLA filaments here! ABS (Acrylonitrile Butadiene Styrene) is the other commonly used 3D printing material. It’s able to withstand higher temperatures than PLA and is considered less brittle. Some ABS filaments can be viewed here! TPE is more flexible than PLA and ABS and acts a lot like rubber. TPE filaments are mostly used for parts that need to flex to fit something, for example a mobile phone case. Have a look at some of our TPE filaments here! 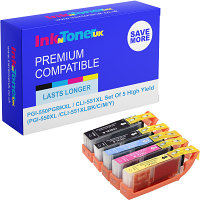 Fantastics offers on 3D cartridges at Ink N Toner UK!